Today’s first offering is Punkelweisse from OConnor brewing company, Norfolk VA. 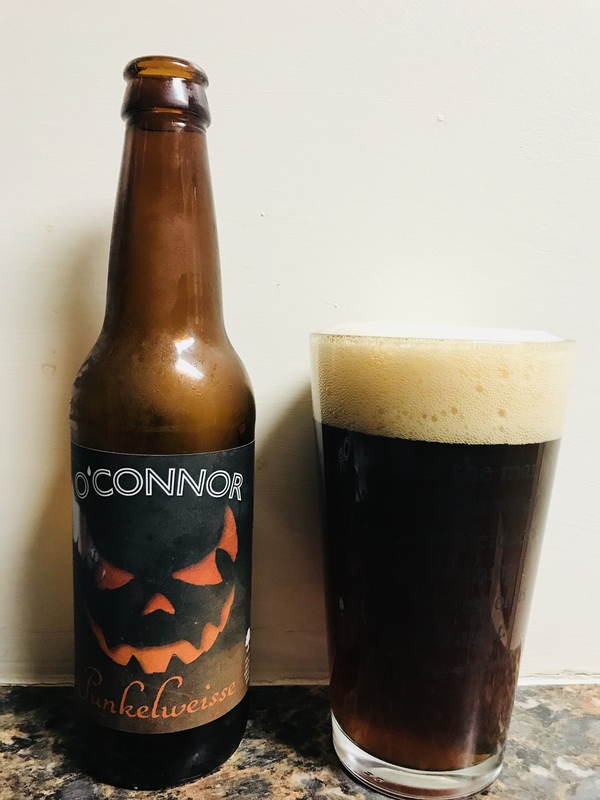 The bottle has an evil looking pumpkin face which I love but that’s about all this beer has going for it. It’s smell is very “malty”, the color is pretty dark almost dirty actually. There is hardly any pumpkin taste at all, which is very disappointing. The alcohol content is 6.5% but I don’t think it’s worth it for the lack of pumpkin taste. 1 Star for alc content and label only.